Here’s something your doctor, or Oncologist will never tell you. If you have cancer, then you have fungus/mold/candida. It feeds the cancer, it is cancer itself. Here’s all you need to know and how to deal with it. Few things are scarier than hearing the words, “you have cancer.” And yet it’s something that an estimated one third, to half the population will hear at least once in their lifetime. With such staggering rates and so much money and research poured into combating cancer, you would think we would have rounded the corner towards reducing it, or even found a cure by now. What is terrifying is that despite the millions of dollars spent every year on research, we seem to be no closer to knowing exactly what causes cancer, much less finding a cure for it. But step away from the mainstream noise for a moment and listen to what many health professionals have understood for some time now. As more and more professors and Doctors are making the link between cancer and something else we all suffer from and that’s fungus. We would even go so far as to say cancer is a fungus. They are one and the same. The Data is building. It’s just not been shouted about loudly enough and the voices of the many professionals that have been shouting this from the roof tops have remained more or less unheard. Whilst research papers have been ignored and down played. For me, Amanda Mary Jewell cancer often epitomizes the phrase, “etiology unknown.” As the root causes of cancer are never pinned down and gets ignored. Some factors remain to be seen as contributing, such as Genetics, yet in most cases the traits tend to to be more habitual than genetic. And yet, it’s actually less of a mystery than is made out, as by and large, we can see why some people get cancer and others do not. We can narrow down the contributing factors to one or more of the following: a compromised immune system, poor diet, poor drinking water, smoking, alcoholism, substance abuse, heavy metal toxicity, asbestos poisoning, radiation, or chemicals…. Yet the main factor throughout all cases of cancer is the presence of infestations of fungus in the body. In fact, it’s not even a new discovery and dates back to Victorian times, yet the fact remains that fungi and their mycotoxins are not as well understood by mainstream medical science as we hoped by now they would be. It’s just not a popular topic and not enough is openly discussed about this hidden killer. It is unsurprising that any doctor would roll his eyes at the idea of a link between cancer and fungus. Yet did a little and you will discover there are many published papers throughout medical literature describing the very profound role that fungus plays in the development of cancer. So excuse the pun, but fungus has been left in the dark too long. Fungi produces chemical by-products as part of its natural life cycle. These chemicals are often toxic, in which case they are known as “mycotoxins”. These mycotoxins are among the most toxic, naturally occurring chemicals on earth. For example, one mycotoxin known as aflatoxin is a carcinogenic mycotoxin known to cause liver cancer. Other mycotoxins are known to be genotoxic and mutagenic and it’s well published that certain mycotoxins cause cancer. What people do not realize is that these mycotoxins are known to contaminate parts of our food supply, particularly grain and corn thus must be avoided. Knowing the huge scope those foods play in the global diet and the frequency with which most people consume those foods, the chances are that most people are regularly consuming mycotoxins. Especially the standard American diet of fast and processed foods. Furthermore, it is published that certain fungi can actually mimic types of cancer in the body! Certain fungal species produce a sac, or ascomycete, that on close inspection looks just like cancer cells. Just last year in a European medical journal, doctors found conclusive evidence that a breast cancer tumor was actually a sac fungus. And this is also what our team found, whilst undertaking a 2 year study in autopsy and that is that ALL breast cancers, when placed under a dark field microscope, are in fact identified as fungus, not cancer, this is where our research really did begin. So what does this say to you? Surely this should concern us all. As a cancer patient, you may have received a lot of information about your treatment and your journey to recovery. That Chemotherapy and radiation cause many changes in the body as they destroy the cancer cells. And of course, one of these major changes is to your immune system. Just as you need it the most. Your now weakened immune system increases your chances of getting an infection, including, of course, any fungal infections. As we have just stated, everyone (without exception) with cancer has fungus, this is more than just a coincidence. The numbers are staggering. Some eight million people die every year from cancer worldwide, with more than half a million in the United States alone. The global number is predicted to rise to twelve million by 2030. Cancer is the biggest cause of death for people under 85 and in the US one in four people die from cancer – one in four. In the UK the government stated that one in every two people alive today will have cancer at some point. These figures are on the increase not decline. And then when you look at the rise in Fungus levels, in pollution, with poor quality water, phosphate fertilizers in our food, as well as many other environmental issues. It’s no surprise the rate of cancer is set to increase, not decrease. Sugars and wheat products are a great source of fuel to any fungus. Imagine, one grain of sugar gives enough fuel for that fungus to grow quickly and establish itself. Most people suffer from fungus in their toes and toe nails, an area of the body that can can be seen by the naked eye, but fungus can live in every living cell of your body including your skin cells. Symptoms of rash etc often are not shown until the fungus is out of control. In August 9th, 1969 a man named Dr Richard Day, who was at the time head of the Rockerfeller controlled eugenics organization Planned Parenting, addressed a meeting of doctors in Pittsburgh about the approach of of globalisation and how this would change our lives forever. He asked the attending doctors to turn off their recording equipment, to not take notes on what he was about to say. Before he went on to detail a long list of planned changes. One doctor did take notes, however and later talked publicly about what was said. Big Pharma has no desire to cure cancer when it is making vast fortunes from treating the symptoms with devastating drugs and cell-killing, people-killing poisons like chemotherapy. And it is not even primarily about money. It’s about population overgrowth and control. He who holds the purse strings owns the power. An Italian doctor Tullio Simoncini, is a brilliant and courageous man who has refused to bow to such enormous pressure. He personally has faced and continues to face an unimaginable amount of amount of stress after he realized what cancer really is and how it can be dealt with. Simoncini’s ‘crime’ has been to discover that cancer is actually a fungus caused by Candida, a yeast-like organism that lives in the body in small amounts, even in healthy people. The immune system normally keeps it under control, but when the Candida morphs into a powerful fungus some serious health problems can follow, often in the form of cancer. In fact Simoncini says that cancer is Candida fungal infection and that the conventional medical explanation of cancer as a cellular malfunction is plain wrong.. And we at Healing Oracle have to agree. And It was this that led him to search for new ways to understand and treat this devastating disease. Simoncini realized that all cancers acted the same way, no matter where they were in the body, or even what form they took. He searched for a common denominator. He also observed that the cancer ‘lumps’ were always white. I was fortunate enough to take a 2 year study in autopsy, where it was confirmed, without any doubt at all, that ALL patients that died with cancer had fungus in more than one part of the body. What else is white? Candida. This colony, eventually penetrates an organ and the immune system has to respond to the threat in another way. It builds a defensive barrier of cells around the colony and this growth becomes a lump in the body and becomes identified as “cancer”. The spread of this cancer is then triggered by the Candida fungus, escaping. Often due to a biopsy, or surgery, where the protective barrier of cells is pierced open and the candida is set free to spread elsewhere in the body. So if it’s the immune system that contains the Candida, so it seems as there has been a calculated war on this very system. A silent war that has gained strength over time and become more vociferous with every decade. The immune system is weakened and attacked by food and drink additives, chemical farming, vaccinations, frequencies, pharmaceutical drugs, the stress of modern ‘life’ and so much more. Ozone is the number one cure for fungus moulds and pathogens. Ordinary Oxygen molecules consist of only two atoms. The third atom in Ozone only stays attached until it can react with, or oxidize, another substance. If that substance is a bacteria cell or fungi, it’s doomed; the spare oxygen atoms in the ambient ozone attach to the cell walls of microorganisms and crack them open. Ozone is a naturally occurring gas created from oxygen atoms. Ozone-disinfecting systems have become popular for people wishing to clean fruit and vegetables, for keeping rooms and hot tubs clean and have been around for several years. Oxygen is harvested from the air filtering out nitrogen and moisture to get pure oxygen, which is then passed through Corona discharge cells, which deliver a jolt of electricity that turns the O2 into O3. The process leaves oxygen and nitrogen, which is environmentally safe. oxygen molecules. During this recombination stage some atoms will regroup into loosely bonded tri-atomic oxygen. This new molecule is called Ozone, as seen to the right (d = 1.28 A, Theta = 116.5o). Due to the loose bond in this oxygen molecule – ozone is a very strong oxidant and an ideal chemical-free purification and a disinfecting agent. Ozone is frequently misdiagnosed and equated to low-altitude pollution. Nothing could be farther from the truth. In fact, Ozone breaks down pollutants and should be welcomed when found in the air. The most effective way to produce Ozone commercially is through the use of pulse injected corona discharge. Disinfection by tri-atomic oxygen (Ozone) occurs through the rupture of the cell wall. An ozone level of 0. 4 ppm for 4 minutes has been shown to kill any bacteria, virus, mould and fungus. Use Ozone to disinfect both water and the bottles you drink from. Drink 4oz of Ozonated water daily. Ozone can be administered via I.V to a patient 3 times a week and up-to 90ml for 2 weeks to ensure all fungus is gone. For feet candida we suggest Hyperbaric Ozone boots. This is a very delicate procedure and should never be attempted at home. Always consult with a fully trained medical professional who fully understands all aspects of Ozone therapy and the risks involved if it is not administered, or monitored correctly. So if cancer is fungus, is there a common, natural way to kill it and stop it spreading? Well the answer is actually in most people’s kitchen cupboard. SODIUM BICARBONATE Yes, the main ingredient in good old Baking Soda (whilst of course baking soda, contains other ingredients), it’s the Sodium Bicarbonate itself that provides the solution. In fact, it’s such a powerful weapon against fungus, unlike any synthesised drugs, the Candida simply cannot ‘adapt’ to it. The patient is given Sodium bicarbonate orally and internally via an endoscope (a long thin camera tube, used to see inside the body) which allows the Sodium bicarbonate to be placed directly on the cancer fungus itself. Preventing any growth and killing the candida infestation. Dr Simocini’s many successes have been down played and no clinical trials conducted. It’s a relatively simple and cheap solution and yet all this time millions of people are dying from cancers that could have been treated easily and effectively. 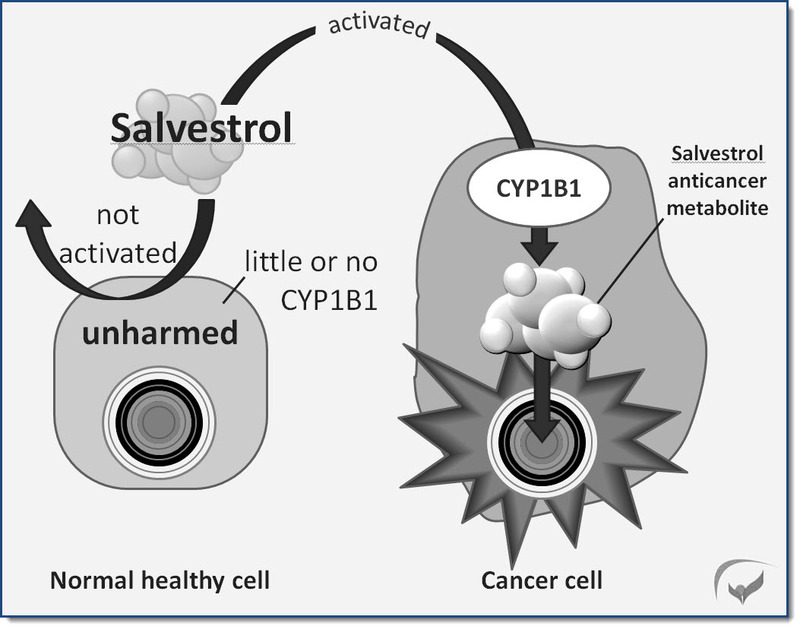 The CYP1B1 alters the chemical structure of something called Salvestrols that are found naturally in many fruit and vegetables. This chemical change turns the salvestrols into an agent that kills cancer cells, but does not harm healthy cells. Salvestrols is the natural defence system found in fruit and vegetables and especially those that are subject to fungus damage. And alarmingly, the chemical fungicide sprays used in modern farming, only artificially kills fungus, which means the plants and crops do not have to trigger their own defence mechanism salvestrols. And so this is why only organic and non GMO foods contain the Salevestrols your body needs to fight cancer. In fact, the most widely-used fungicides are such powerful blockers of CYP1B1 that if you eat enough chemically-produced food it wouldn’t matter how many salvestrols you then consumed, they are no longer effective as the cancer-destroying agent they are designed to be. The biggest cause of fungus is on our feet. We bathe or shower and forget about our feet, that serve us so well. It is important to lift each foot to wash and thoroughly dry them. Wearing open toe shoes as much as possible to allow your feet to breath. Sneakers should only be worn for training, not for everyday purpose. Sprinkling bicarbonate of soda on your feel after drying is very helpful. Dead skin builds up on the feet, becoming bacteria and fungus. Removing all dead skin from feet is extremely important.Expose feet as much as possible. Make friends with your feet, become well antiquated and give them some love. We suggest Ozonation of feet in bad cases for a speedy recovery. Fungus infections can vary significantly Some fungal infections are mild skin rashes, but others can be deadly, like fungal pneumonia. Because of this, it’s important to eradicate any fungus as soon as possible to try to avoid serious infection. Fungal infections can look like bacterial or viral nfections. Which is a very common mistake and the resulting antibiotics are ineffective and can lead to gut flora issues later down the line. The type of cancer you have can affect your risk. If you have a blood cancer like leukemia or myeloma, you may be at an even greater risk of further fungal infection than people with other types of cancer. Your risk of infection can change based on the strength of your chemotherapy. Aggressive chemotherapy completely depletes your immune system and can put you at risk of getting a fungal infection that will fuel the cancer. Your hospital stay matters. The longer you are in hospital the greater the risk of fungal infection due the hospitals heating system running at temperatures perfect for breading fungus, bacteria and infection. Where you live (geography) matters. Some disease-causing fungi are more common in certain parts of the world. If you live in, or visit these areas and have cancer you may be more likely to get these infections than the general population. Humidity also promote fungus and bacteria. Preventing fungal infections in cancer patients. Fungi are difficult (but not impossible) to avoid because they are a natural part of the environment. It lives outdoors, in soil, on plants, trees and other vegetation. They are also on many indoor surfaces and on your skin. However, there may be some ways for you to lower the chances of getting an infection, including a serious fungal infection. Know if your white blood cell count is low. Having a very low white blood cell count can put you at greater risk of infection and fungus. Try to avoid areas with a lot of dust like construction, or excavation sites. Wear long pants, and a long-sleeved shirt when doing outdoor activities such as gardening, yard work, or visiting wooded areas and completely wash and dry your feet after walks. Using 1 cup of apple cider vinegar or half a cup of bicarbonate of soda in a bath tub, or bucket for feet will stop fungus growing. dehumidifiers in the home will take help take out moisture in the room. Don’t forget to do the same with your vehicle. Another link between fungi and cancer is their relationship with sugar and Gluten. Healthy cells in our bodies use glucose and oxygen to produce ATP (adenosine triphosphate), which is the main source of energy for cell functions. Cancer cells, on the other hand, use fermentation to produce ATP. Fermentation does not use oxygen and is, in general, a very inefficient way to produce energy. Cancer cells must consume large amounts of sugar in order to survive and grow. Cancer cells love fungus and fungus thrives on sugar and gluten. What is the first thing you do when candida gets out of control? That’s right − lay off the sugar and simple carbs like bread and pasta. In addition, growing fungi produce chemicals called mycotoxins, which have played some part in the development of cancer in humans according to experimental data. The connection between mycotoxins and cancer lies in its ability to effect the protein production within cells. For example, it can effect protein 53, a protein that, when healthy, can activate other proteins that repair DNA. Dr. A.V. Constantini, retired head of the World Health Organization’s center for mycotoxins in food, believes that an anti-fungal cancer medication may be just over the horizon. Over the last decades, there has been some anecdotal evidence to support this prediction. Dr. Simoncini’s solution to heal cancer naturally is simple. It adheres to the basic principles of natural cancer therapies and to my 7 Essentials ™ System, an evidence-based approach to support and heal the body naturally: change the internal environment in the body from one of acidity (which cancer cells love) to alkalinity. Dr. Simoncini recommends the use of sodium bicarbonate therapy. Because the most effective way to shrink tumors is through direct contact with the sodium bicarbonate, in most cases a catheter is used to go through the arteries to the organs within the body. For some cancers, including breast cancer, a simple local infiltration or injection can be used instead. Dr. Simoncini himself claims that this method carries a 99% success rate for healing breast cancer without surgery. One can also enjoy an alkaline Sodium bicarbinate drink every day. In a glass of purified water, add the juice of ½ lemon and 1 teaspoon sodium bicarbonate. Stir and enjoy. Because this is such an alkaline drink, always consume it 30 minutes before and at least two hours after a meal as proper digestion requires an acidic pH in the stomach. In order to prevent breast cancer naturally, be aware of the signs and follow a healthy anti-cancer regime that includes the anti-fungus diet, herbal supplementation, detoxing, emotional healing, biological dentistry, energy balancing and early detection. Maintaining the proper alkaline balance in your body is key to keeping fungal growth − and breast cancer − at bay. implicated in human cancers, since they organize the genetic material of the host cell to produce new viruses. Ozone will inactivate viruses on contact, even at very low residual concentrations. In case of polio, only 0.012 ppm removes all viral cells in less than 10 seconds. Mold, fungus and mildew are easily controlled by Ozone presenting air and in water. Giardia and Cryptosporidium cysts are susceptible to Ozone but not affected by normal levels of Chlorine. The Effects of Ozone on Pathogens The antipathogenic effects of ozone have been substantiated for several decades. Its killing action upon bacteria, viruses, fungi, and in many species of protozoa, serve as the basis for its increasing use in disinfecting municipal water supplies in cities worldwide. Bacteria are microscopically small single-cell creatures having a primitive structure. They take up foodstuffs and release metabolic products, and multiply by division. The bacteria body is sealed by a relatively solid cell membrane. Their vital processes are controlled by a complex enzymatic system. Ozone interferes with the metabolism of bacterium cells, most likely through inhibiting and blocking the operation of the enzymatic control system. A sufficient amount of ozone breaks through the cell membrane, and this leads to the destruction of the bacteria. Viruses are small, independent particles, built of crystals and macromolecules. Unlike bacteria, they multiply only within the host cell. Ozone destroys viruses by diffusing through the protein coat into the nucleic acid core, resulting in damage of the viral RNA. Streptococci, Shigella, legionella pneumophila, Pseudomonas aerunginosa, Yersinia enterocolitica, Campylobacter jejuni, Mycobacteria, Kelbsiella, pneumonia, and Escherichia coli. Ozone destroys both aerobic and importantly, anaerobic bacteria which are mostly responsible for the devastating sequel of complicated infections, as exemplified by decubitus ulcers and gangrene. The mechanisms of ozone bacterial destruction need to be further elucidated. It is known that the cell enveloped of bacteria are made of polysaccharides and proteins and that in Gram negative organisms, fatty acid alkyl chains and helical lipoproteins are present. In acid-fast bacteria, such as Mycobacterium tuberculosis, on third to one half of the capsule is formed of complex lipids (esterified mycolic acid, in addition to normal fatty acids), and glycolipids (sulfolipids, lipopolysaccharides, mycosides, trehalose mycolates). The high lipid content of the cell walls of these ubiquitous bacteria may explain their sensitivity, and eventual demise, subsequent to ozone exposure. Ozone may also penetrate the cellular envelope, directly affecting cytoplasmic integrity, disrupting any one of numerous levels of its metabolic complexities. Numerous families of viruses including poliovirus I and 2, human rotavruses, Norwalk virus, Parvoviruses, and Hepatitis A, B and non-A non-B?, among many others, are susceptible to the virucidal actions of ozone. Most research efforts on ozone’s virucidal effects have centered upon ozone’s propensity to break apart lipid molecules at sites of multiple bond configuration. Indeed, once the lipid envelope of the virus is fragmented, its DNA or RNA core cannot survive. Non-enveloped viruses (Adenoviridae, Picornaviridae, namely poliovirus, Coxsachie, Echovirus, Rhinovirus, Hepatitis A and E, and Reoviridae (Rotavirus), have also begun to be studied. Viruses that do not have an envelope are called “naked viruses.” They are constituted of a nucleic acid core (made of DNA or RNA) and a nucleic acid coat, or capsid, made of protein. Ozone, however, aside from its well-recognized action upon unsaturated lipids, can also interact with certain proteins and their constituents, namely amino acids. Indeed, when ozone comes in contact with capsid proteins, protein hydroxides and protein hydroxides and protein hydroperoxides are formed. Viruses have no protections against oxidative stress. Normal mammalian cells, on the other hand possess complex systems of enzymes (i.e., superoxide dismutase, catalase, peroxidase), which tend to ward off the nefarious effects of free radical species and oxidative challenge. It may thus be possible to treat infected tissues with ozone, respecting the homeostasis derived from their natural defences, while neutralizing offending and attacking pathogen devoid of similar defences. The enveloped viruses are usually more sensitive to physico-chemical challenges than are naked virions. Although ozone’s effects upon unsaturated lipids is one of its best documented iochemical action, ozone is known to interact with proteins, carbohydrates, and nucleic acids. This becomes especially relevant when ozone inactivation of non-enveloped virions is considered. Fungi families inhibited and destroyed by exposure to ozone include Candida, Aspergilus, Histoplasma, Actinomycoses, and Cryptococcus. The walls of fungi are multilayered and re composed of approximately 80% carbohydrates and 10% of proteins and glycoproteins. The presence of many disulfide bonds had been noted, making this a possible site for oxidative inactivation by ozone. In all likelihood, however, ozone has the capacity to diffuse through the fungal wall into the organismic cytoplasm, thus disrupting cellular organelles. Protozoan organisms disrupted by ozone include Giardia, Cryptosporidium, and free-living amoebas, namely Acanthamoeba, Hartmonella, and Negleria. The anit-protozoal action has yet to be elucidated. • Aspergillus Niger (black Mount): Destroyed by 1.5 to 2 mg/1. • Bacillus Anthracis: Causes anthrax in sheep, cattle and pigs. A human pathogen. Ozone susceptible. • Clostridium Botulinum Spores: Its toxin paralyzes the central nervous system, being a poison multiplying in food and meals. 0.4 to 0.5 mg/1. • Diphtheria Pathogen: Destroyed by 1.5 to 2 mg/1. • Eberth Bacillus (Typhus abdominalis): Destroyed by 1.5 t 2 mg/1. mg/1 of ozone, 99.999% killed. • Escheriachia Coli Bacteria (from feces): Destroyed by 0.2 mg/1 within 30 seconds. • Encephalomyocarditis Virus: Destroyed to zero level in less than 30 seconds with 0.1 o 0.8 mg/1. • Enterovirus Virus: Destroyed to zero level in less than 30 seconds with 0.1 to 0.8 mg/1. nds with 0.1 to 0.8 mg/1. • Herpes Virus: Destroyed to zero level in less than 30 seconds with 0.1 to 0.8 mg/1. • Influenza Virus: 0.4 to 0.5 mg/1. • Klebs-Loffler Virus: Destroyed by 1.5 to 2 mg/1. • Poliomyelitis Virus: Kill of 99.999% with 0.3 to 0.4 mg/1 in 3 to 4 minutes. • Proteus Bacteria: Very Susceptible. • Pseudomonal Bacteria: Very Susceptible. • Rhabdovirus Virus: Destroyed to zero level in less than 30 seconds. • Salmonella Bacteria: Very Susceptible. • Staphylococci: Destroyed by 1.5 to 2 mg/1. • Stomatitis Virus: Destroyed to zero level in less than 30 seconds with 0.1 to 0.8 mg/1. Also, know as onychomcosis, toenail fungus is characterised by inflammation, thickening, swelling, pain and crumbling of the toenail. Some of the most common causes of this type of infection are dirt, pollution, accumulated sweat as a result of wearing very tight socks and shoes for a longer period of time and walking in dirty water during rainy season. Not washing and ignoring them can lead to harmful consequences. Here are 7 home remedies you can try to treat toenail fungus. Tea tree oil contains antifungal and antiseptic abilities, which is very effective in fighting against toenail fungus. Apply few drop of the tea tree oil directly onto the affected nail with a cotton swab. Repeat this twice daily. Both apple cider vinegar and white vinegar are considered as powerful home remedies to get rid of fungal infections because of its acidic properties. Soak the infected nail in one part vinegar and two parts warm water for up to 20 minutes everyday. After that, rinse off with water. Like tea tree oil, garlic, which is a staple in most kitchens, too has antifungal and antimicrobial properties. You can treat toenail fungus by placing crushed garlic cloves on the affected area for half an hour. Then after it becomes dry, rinse off with water. Real Organic Honey helps kill fungus and bacteria by flushing out toxins from the body as it contains hydrogen peroxide. Take a tablespoon of honey and apply it on the toenail. Keep for half an hour and then wash off with water. Repeat this twice on a daily basis. Take a bowl and pour 4 cups of hot water, half cup of baking soda, one-fourth cup of hydrogen peroxide and half cup of Epsom salt. Mix these ingredients properly and add one-fourth cup of white vinegar. Soak the infected nail for about 10-15 minutes and wash off with water. Turmeric paste can work wonders for treating nail fungus because of it’s strong antiseptic properties. Mix a tablespoon of turmeric powder with a few drops of water to make a thick paste. Apply on the toenail and keep it on for an hour and rinse off with water.